The Smithsonian museums in Washington are internationally renowned and you’ll find most of them in the vicinity of the capitol building. Admission to them all is free and there really is something for everyone. 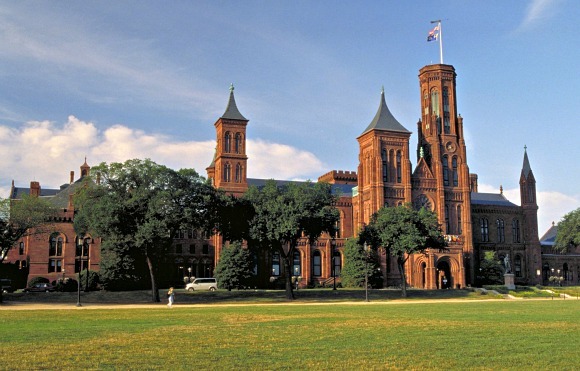 A good place to start is the Smithsonian Institute Building (also known as the castle) as they have a good introduction to all of the 19 galleries and museums in the information center. It’s located on the National Mall. Other Smithsonian highlights include the National Air & Space Museum, the National Museum of African Art, the Natural History museum, the American History Museum, the National Zoo and the National Postal Museum. This is an extract from our free Washington DC City Guide. 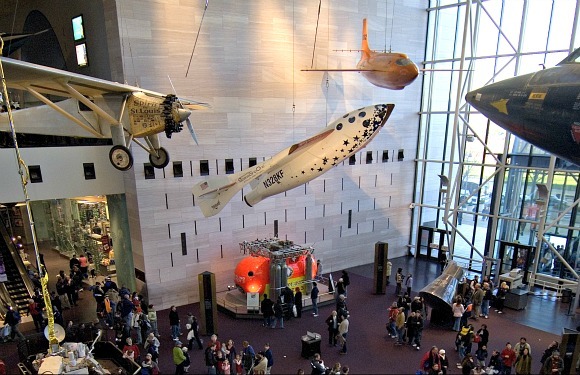 Firstly the National Air & Space Museum, which is huge and jam packed with aircraft and spacecraft from over the years. many of the exhibits are interactive and this museum is great for kids. The museum made world headlines in 2012 when the space shuttle Discovery arrived as a new exhibit on the top of a 747 jet! The shuttle’s home is the Udvar-Hazy Centre near Dulles Airport – this is the sister-site of the museum on the National Mall and allows more space to fit the larger aircraft and spacecraft. 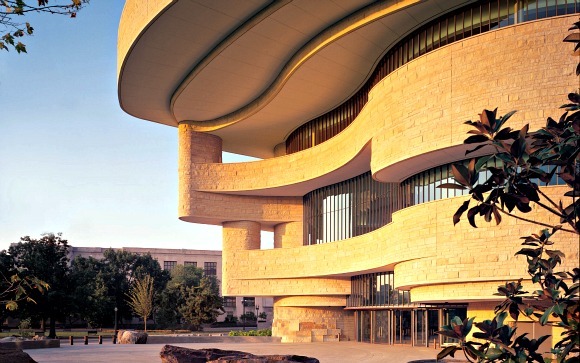 Our second museum choice is the National Museum of the American Indian (pictured at the top of the page) which is a short walk from the Capitol Building. Inside there’s everything you’d ever want to know about the history of the American Indian population in the US, but we like this museum also because of its architecture. We thought the building design was stunning! The Smithsonian Museums are located all over Washington DC. The details and map below are for the Smithsonian Castle building where there is information on all the museums in DC.